I’m interested in becoming a referee, where do I start? To become a Referee you need to be 14 or will become 14 before the next soccer season starts (some younger referees aged 13 yrs 6 months at season start can apply for a waiver and qualify to be certified, please contact the Club for details of this). 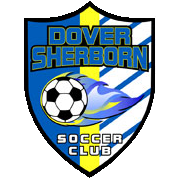 As Dover Sherborn is part of the BAYS league and and BAYS is affiliate with US Soccer, you need to qualify by taking the Referee Grade 8 course (PLEASE NOTE this 'grade 8' designation is nothing to do with school grade, it is a referee deisgnation). Sign up for the course at www.massref.net. The Club will reimburse your fee for the course, please email the e-receipt to the Club Treasurer. On completion of the course, you will be eligible to work Gr3-8 games for the Club, offering more time slot options and locations for your work. The course has several parts; an online prep component, a 8 hr classroom course, and a final online exam. 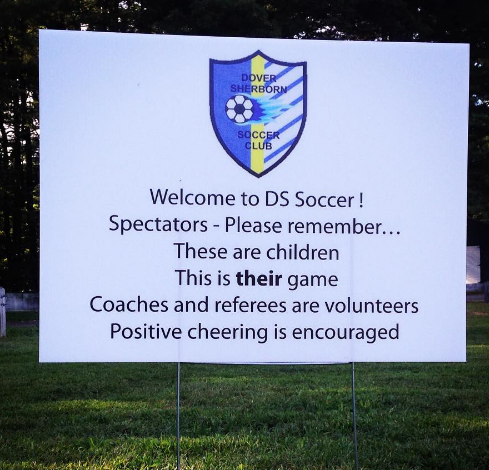 Dover Sherborn Soccer Club is happy to write references for our referees for the National Honors Society, for college applications or for job references. Can I download the laws of the game? Yes you can. www.massref.net has the current Laws of the Game on its website. Go to Referees, then USSF publications and download the PDF. I recommend you also download the Guide to Procedures. I’ve taken the Referee Grade 8 course when do I get games? Congratulations! Please register as a Referee on the BAYS website www.bays.org. Then apply to Dover Sherborn. You will be expected to participate in training that we conduct before the each season starts. This training is practical and attendance is expected. Tell me about continued Referee mentoring after I am certified for BAYS games? The Club invests in continued referee education and development - we run an in-house mentoring program with Jeff Chambers and Janet Gargan mentoring our certified referees on gamedays. Once certified, massref.net also offers the service of an on-field external mentor for a game - if you do choose this latter option on a given gameday, please do let the club know so we don't assign one of our mentors to you for that game also. We have a number of younger trainee referees aged 13 or younger who continue their training under the guidance of mentors at our Grade 2 intramural small sided games that happen on Saturdays. We run an initial training session for these new trainee referees in Jan/Feb before Spring and in August before Fall. please contact Amy Davis on [email protected] for details. Trainee referees are paid a training stipend of $20 per game and $20 for attending training courses. We have HS age mentors helping these trainee referees in their on field training at our Grade 2 DS v DS games on Saturdays. These HS age ref mentors are coached by our MA Youth Soccer ref mentors, Jeff Chambers and Janet Gargan. Tow work as a ref mentor, please email [email protected] for more information. Please note that working as a HS aged ref mentor at these Grade 2 DS games should not take precedence over referee work and to be paid for mentoring, one has to work as many BAYS games as mentor sessions over the season. Amy Davis, the DS referee assignor, assigns the games to referees via the BAYS system. You will receive an email and have the choice to confirm or decline a game. If you confirm it, you are expected to work that game. Many families, players and children depend on your reliability. No-shows are not acceptable and, if repeated, will result in you not able to work for the Club. The Club purchases your equipment for you. You will need a Referee uniform, watch, and whistle - assistant referees will also need flags, that are foud in the Club equipment store at the Caryl Library upstairs room at the Caryl Community Center in Dover. Amy Davis [email protected] can help you with this. Each year you will need to recertify for the subsequent year. Massref offers two types of courses. During the summer, you can attend a training session at Gillette Stadium, take notes during the game of decisions the Referee makes, which you submit to Massref online as proof you actually followed the game. The other way is to attend a half day class. In both instances, you will be required to do an online test on the laws of the game. The following publication is VERY useful in helping with more complex questions that can arise. Sometime after you become a Referee, the USSF will send you your Referee card to carry in your wallet. Also, the Club pays a frequency bonus. Five games worked = $50. 10 games = $120. 15 = $200. 20 = $300. Also just FYI if you know anyone to whom this pertains, all referees who will have worked as a referee in their busy High School Senior year will receive a $300 (minimum 5 games) scholarship check for college books.